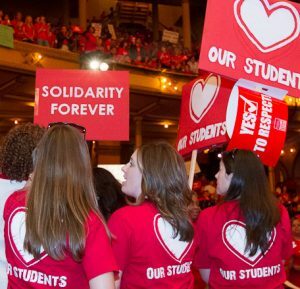 STRIKE READY: Organizing to win for our students and our schools! Featuring United Teachers of Los Angeles President Alex Caputo-Pearl on the #RedForEd movement and their recent strike victory in LA. All PPC, PPLC, LSC members, CTU delegates, CTU-ACTS building reps, Teacher Evaluation Liaisons, retired CTU members, and all CTU members interested in helping to organize their school or department should attend. Join with CTU members and school building leaders to learn and share skills needed to fight for our contract and to enforce the rights we’ve won. Click the arrow at right for descriptions. A note in the title indicates whether the workshop is designed for educators in district-run schools, charter schools or both. The New Delegates Workshop will span both workshop time slots, so if this workshop is for you, you won’t attend another afternoon workshop. Sometimes you have to be contractual tactician, sometimes you’re a shepherd and other times you’re the village healer. Learn the tools you will need to know to organize your building, support your colleagues and enforce your rights. Topics will range from PPC/PSC, grievance process, due process and creating a school of engaged union members. 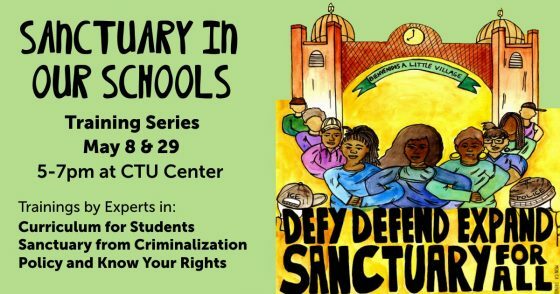 This workshop highlights a method of giving students, teachers, and the community a voice in a unique kind of problem solving – one that emphasizes healing and restoration over traditional harsh punishment. Restorative practices are drawn from long-standing models from aboriginal, indigenous, and first nations peoples around the world. Workshop participants will learn how restorative practices in schools represent a new alternative to traditional discipline, and promote accountability dialogue and respect among students and teachers. This is a hands-on workshop that will teach participants how the use of restorative practices, drawn from traditions in the global south, can help ensure that all voices are heard in a respectful and attentive way, and that the learning atmosphere becomes a rich source of information, identify and interaction. We will also discuss how we can win implementation of effective restorative justice practices in all our schools. In this workshop substitute pool teachers will learn about their rights under the CTU/CPS agreement and the Illinois School Code. We will also strategize on how to win better conditions for substitute teachers and increase the available substitute teacher pool to reduce the severe substitute teacher shortage. Members will learn the proper procedures for conducting successful votes on model schedule, flex days, the waiver process and testing–and how to make the right choices based on their school. Included are ideas of how members can prepare now for the vote on non-mandated assessments in order to take control of that process away from principals and network chiefs. This workshop will provide the basic information needed in order for you to determine if a student needs Special Ed services and the process to get them evaluated. The workshop will help you evaluate your school’s special education program and what we can do together to win proper resources and staffing for all special ed students. Learn to distinguish between an issue relevant to only one member and one that can galvanize multiple members. The workshop will identify the need for grievances, but also recognizes the limitations of grievances alone, due to the time it takes and the power it puts in the hands of management. You will learn how to apply the mantra of “an injury to one is an injury to all”. The issues in a grievance can be used to mobilize members at a school to take action to pressure the principal to obey the contract. Chicago’s first round of municipal elections are over. The run-offs loom ahead. Join us to talk about the results of the first round of elections, how to be involved in the second round, and how our contract campaign informs our political and legislative strategy. Come and learn about what PPLCs are and how to use them as a powerful tool to empower members, advocate for students, and build alliances with parents and community members on your local school council. This workshop will cover what PPLCs are, how to start one, and best practices in running an effective PPLC. Winning a strike requires the highest level of member organization and activity. The role of strike captains can be a critical tool for motivating, directing, supporting, and assessing member activity on the lines and in the streets. This workshop for CTU delegates will gather feedback and recommendations on optimizing our House of Delegates meetings (within constitutional parameters). UTLA just won a successful strike that added a librarian in all middle and high schools and a nurse full time in every school. In this workshop we will discuss our theory of how to win the staffing our students need. Come prepared to share, plan and then organize! This workshop will give you the training and tools you need to start fighting back and winning. Learn how to advocate for workers around workplace concerns, workplace stress, political actions, and contract negotiations. You will explore your role not only as support staff, but as unionists, activists and leaders. “We’ve tried everything and the principal doesn’t change,”—this workshop addresses that sentiment. The process identifies the specific areas of concern members have with a principal. The areas are then incorporated into a remediation plan. Each step of the plan requires demonstrations of courage by members, and as the steps escalate, members must show more courage. Each escalation is only taken based upon a demonstration of courage by members. Escalation steps include completing surveys, signing a letter to the principal, attending LSC meetings and flyering parents. 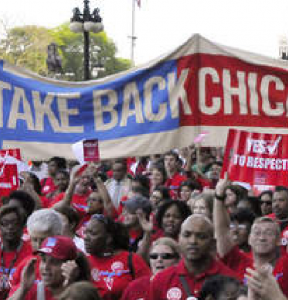 Members will learn how to engage their school colleagues in actions and activities to build unity, engage parents and students, and get their entire school community ready in the event there’s a CTU work stoppage. This workshop is for members interested in learning about how to reduce their student debt. This Student Debt Clinic which will provide information on how to enroll in Income-Driven Repayment plans and Public Service Loan Forgiveness. Come and learn about the yearly evaluation process for contract principals. We’ll discuss the criteria they use to be evaluated and how you can advocate at your Local School Council for a fair and transparent evaluation process. Organize at your building to address concerns with a bully principal in a systematic and documented way! Empower your local school council members and increase local democratic control of your school! For too long, bilingual education has been getting watered down to fulfill compliance, yet students are not receiving the education they deserve and bilingual teachers are not been getting the support they need. Contract negotiations are under way and much needed language on bilingual education was included but we will have to fight to get the resources and changes we want for bilingual education. This workshop is about assessing the challenges we are facing, organizing with parents and together demand and fight for the bilingual education we need that is culturally relevant and gives students pride in being bilingual students. Is class size an issue at your school? 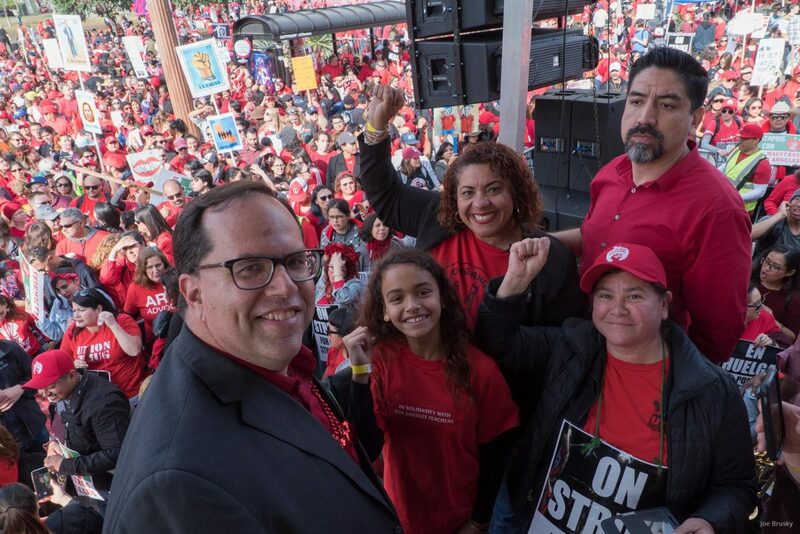 In the recent UTLA and Acero strikes, union educators won reductions in class size. These fights for quality learning conditions generated broad public support for the union’s demands. 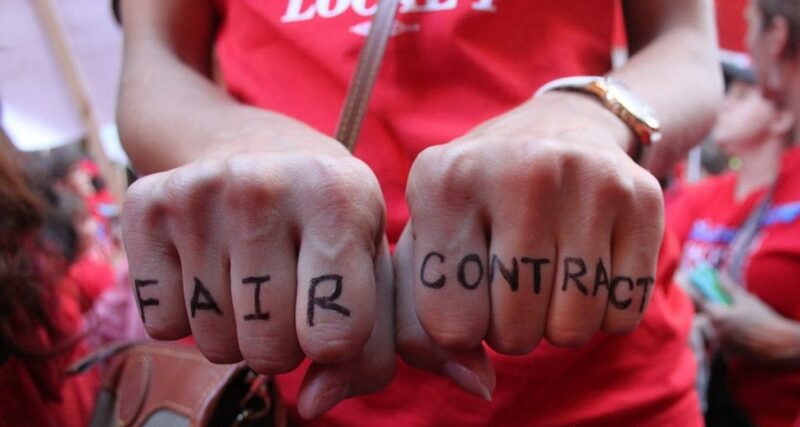 Come prepared to strategize about how to visible, publicly fight for—and win—lower class size and enforceable contract language.